eShopWorld has again been recognised by the tech industry for delivering exceptional benefits to retail users of its cross-border eCommerce platform and services. The Global eCommerce solution provider helps retailers sell efficiently across borders, and is integrated across the retail value chain. The company is in a strong growth phase, and we are scaling up in different markets all around the globe, with 2016 and 2017 looking very exciting for us. 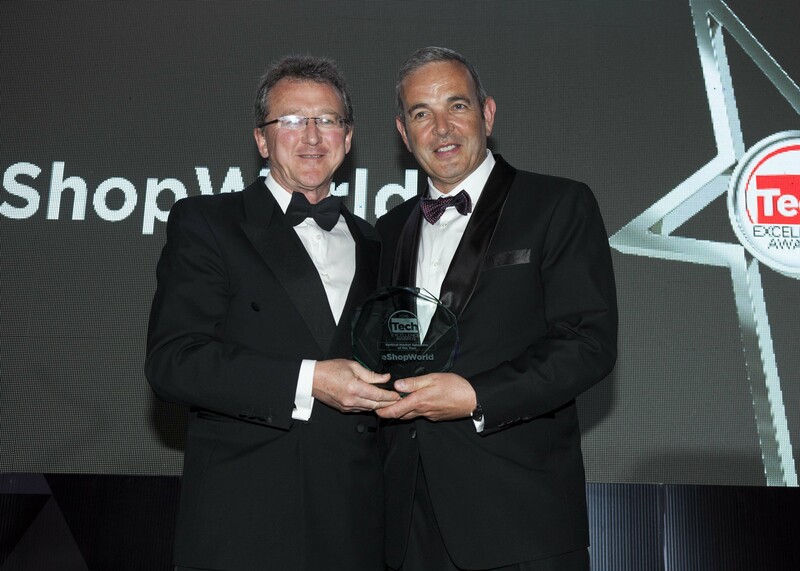 Global eCommerce solution provider, eShopWorld was named the Vertical Market Specialist of the year at the 2016 Tech Excellence Awards held at the Ballsbridge Hotel in Dublin last night. This award recognises a company that demonstrates exceptional business development in a particular niche sector or vertical market, and whose products and services bring major business benefits to the user. The gala event was attended by over 500 luminaries from the technology sector, who gathered to celebrate a year of innovation and commercial success. The Awards were adjudicated by industry experts Eoin O'Driscoll (Forfás), Dr Jim Mountjoy (Euristix), Tom McCarthy (HelmAG), Peter McManamon (Parthus Technologies), Dr Seán Baker (IONA Technologies), Louise Nicolls (Brown Bag Films) and Karl Flannery (Storm Technology).